WordPress development processes are different from developer to developer, but one thing we all have in common. The need to debug fast and reliable. Debugging PHP applications can be done in several ways, but most of the developers are just doing some die or print_r or var_dump commands, maybe some developers use logging. That is all handy, but if you want to improve your development and debugging process, you will certainly need Xdebug. 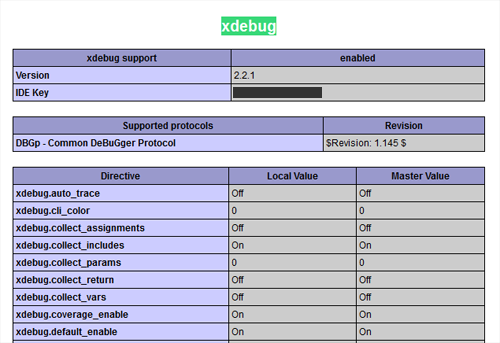 Xdebug is a PHP extension which gives us debugging and profiling capabilities. It’s pretty fast and reliable. Probably the most difficult part of this tutorial is to actually install Xdebug. There are some guidelines in Xdebug documentation, and that looks scary, but don’t worry. The best way is to paste the contents of your phpinfo() output into Xdebug wizard and follow the instructions. 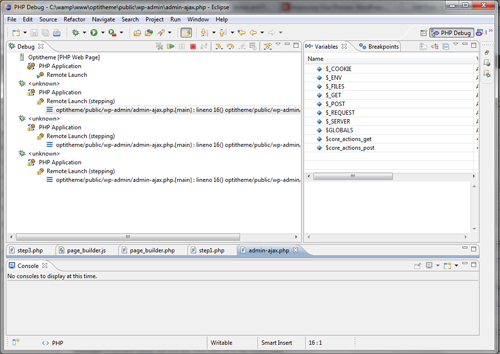 Save the file, open it in browser, select all, copy and paste that into Xdebug wizard. 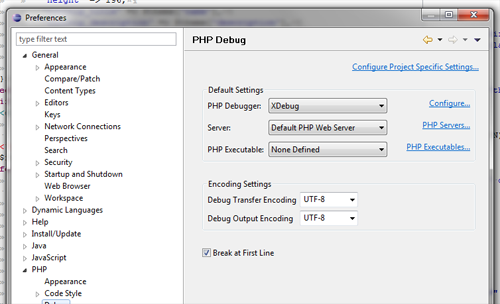 Xdebug is working already and if you have set WP_DEBUG to true in your wp-config.php file, it will intercept all errors, warnings and notices and present them in a easy to read manner. 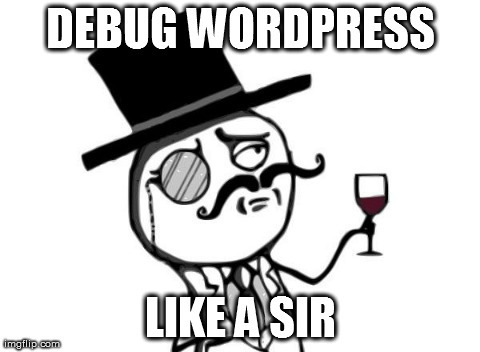 But, we are going further and setup Eclipse IDE so we can debug WordPress like a sir. Technically, you are ready to debug your WordPress like never before. 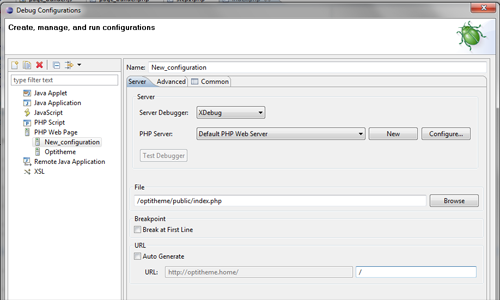 Ok, first create a breakpoint for example somewhere in the index.php file of your theme. 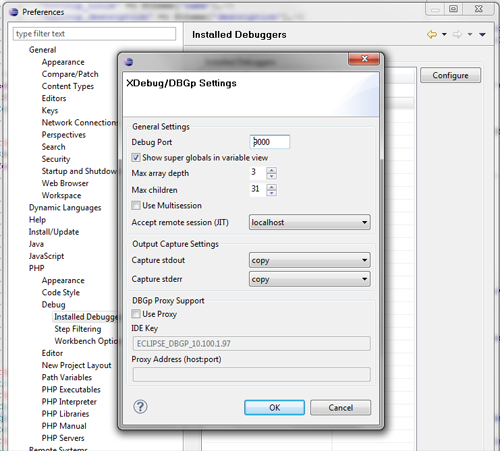 To add a breakpoint, right click on the line number and click on Toggle breakpoint. Click Apply and click Debug. On the right, you have all the variables, which you can expand and see their respective values. Terminate – Stop execution of the program and debugging. Disconnect – Stop debugging, but continue executing the program. Step Into – Follow code as it executes line-by-line, including going into function calls. Step Over – Skip showing execution of a particular function call. Step Return – If inside a function, this will skip to where it returns. 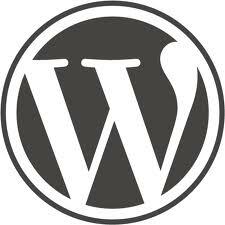 WordPress autosave feature can sometimes interrupt debugging process as it opens new debug sessions, so it is best to disable it or set it to longer intervals. And this concludes today’s debugging session. Xdebug can also be used for profiling, but that will be a theme for some next tutorial, but if you need it, here is the Codex article on it. Any luck getting debugging going on something like Sublime Text? I’d hate to have to set up a whole project on something like Eclipse when I’m already working in Sublime. Great tutorial and it works perfectly!